12.52: The girl is missing . . .Six minutes - that’s all it took to ruin Detective Ted Conkaffey’s life. Amanda Pharrell knows what it’s like to be public enemy no.1. 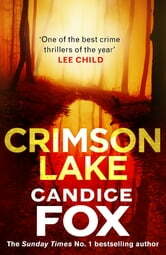 Maybe it’s her murderous past that makes her so good as a private investigator, tracking lost souls in the wilderness. Her latest target, missing author Jake Scully, has a life more shrouded in secrets than her own - so she enlists help from the one person in town more hated than she is: Ted Conkaffey. What a cracking good read, I was so drawn into it trying to decide "who done it" before the killer was revealed. I do hope there's a follow on book with these 2 main damaged characters.